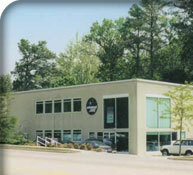 Universal Printing was established in November of 1979 in Raleigh, North Carolina. The young business occupied 400 square feet inside the York Building at Cameron Village. It was operated as a copy center, providing quick, quality, convenience copies to businesses and the general public. In 1979, copy centers were not well known and the industry was in its infancy. Most work of this type was either done in house by major corporations who could afford the equipment or by traditional offset printing. During the 1980's, Universal went from one small location to four locations throughout Raleigh and RTP. During this time, we also embraced "Desktop Publishing" (which was also an industry in its infancy), as well as commercial offset printing. It was during this period that we were able to break the $1 and $2 million sales levels. It was at the end of the 1980's that we shifted our focus from retail stores to outside sales and we closed two of our retail locations. This tactic worked out well, and we continued to grow into the 1990's. From 1990 to 2000, we added multiple high-speed digital copiers/printers, as well as a multi-color 29" printing press that propelled us into a new level of high-quality offset printing. We also built and expanded our RTP location to its current 17,000 square feet facility, which has allowed us to add fulfillment and warehousing to our expanding list of services. At the turn of the century, we continue to invest in technology. Digital printing, digital proofing, computer-to-plate imaging, and the addition of G7, have added to our already-high quality standards. The addition of ePrint, our e-commerce ordering and proofing solution, has allowed our clients to order and manage their marketing and stationery assets online. We are confident that embracing and adopting technology on behalf of our clients will help propel and fuel our growth during the next decade.